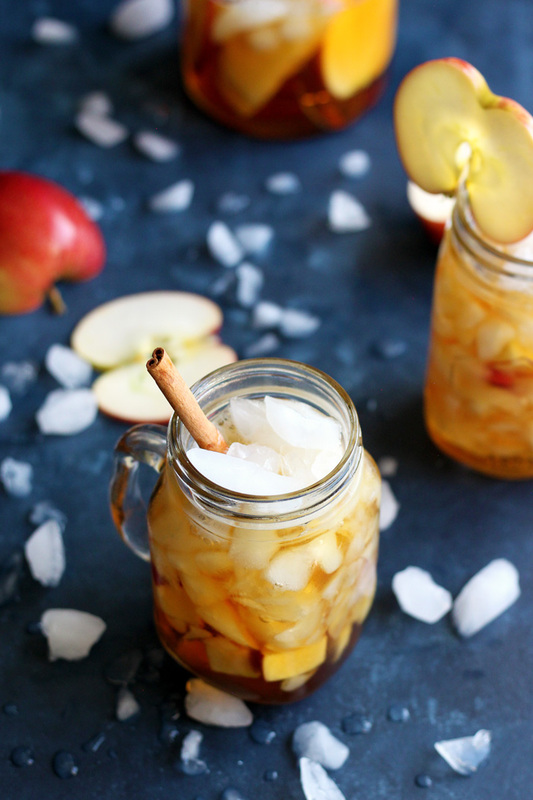 This Apple Pimm’s Cup takes a twist on a popular summer cocktail using Fall flavor. This recipe can be easily scaled up to make a few pitchers, enough to serve a whole group of thirsty dinner guests. The Pimm’s cup cocktail is my favorite Summer drink of all time. 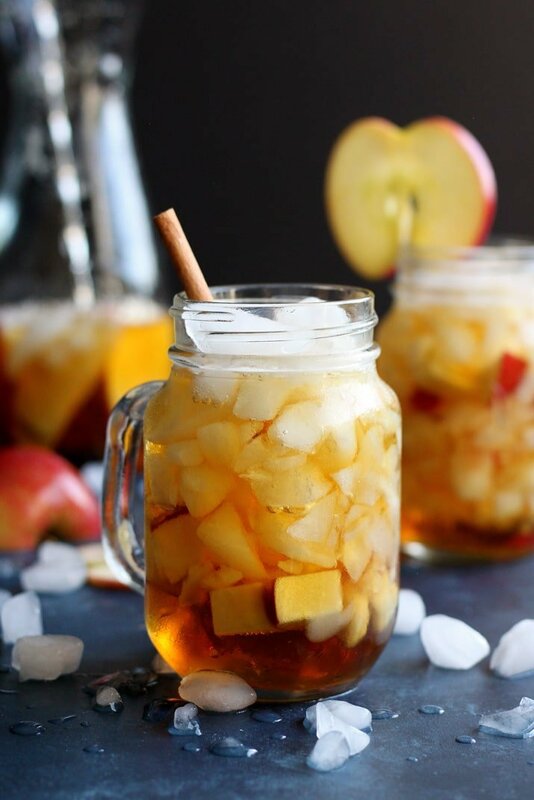 So this year, I decided to make an Apple Pimm’s Cup using apple cider and fresh apples to highlight the Fall season. For a stronger cocktail, you could replace regular sparkling apple cider with hard apple cider. But I love the lighter version because you can sip on it all night long without getting too tipsy. The recipe included in this post makes enough to serve four. But you can easily scale up for larger parties, and also scale down for a more intimate get together. Although this Apple Pimm’s Cup is so good, there is absolutely no reason to scale down. You will notice the recipe calls for lemon, not a quite an Autumn flavor here. 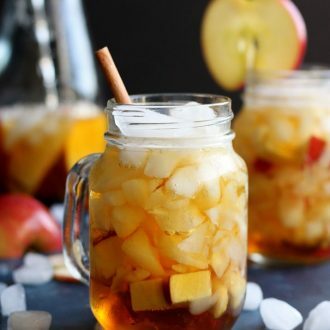 But the main purpose for using lemon in this recipe is to keep the cut up apple from oxidizing or turning brown as they sit out, waiting to be used as a garnish for your drink. And I think it also adds a little zing to the cocktail. This lighter cocktail would be a great addition to any of the upcoming holiday dinner parties you are throwing. It is so easy to throw together even at the last minute. Just imagine gathering around the dinner table or the living room with your friends and family, sipping on a good drink and chatting all night long. That’s what this season is all about to me. 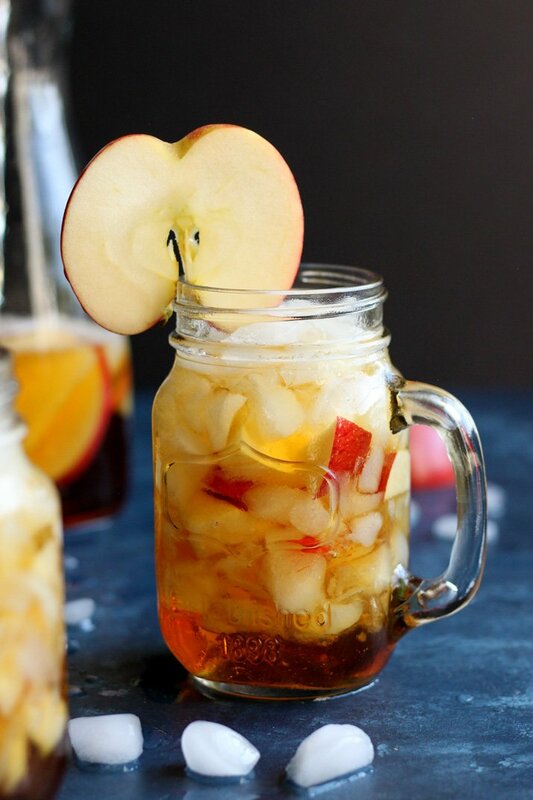 So enjoy this delicious Apple Pimm’s cup! And if you’re still thirsty for more Pimm’s, check out this Pimm’s Sundowner cocktail. All About Pimm’s Cup Cocktails! What is Pimm’s No. 1 Made Out Of? It is an alcoholic drink with a gin base as well as a liqueur, fruit juice, and spices. What is a Pimm’s Cup? When Pimm’s No. 1 is mixed with lemon-lime soda or ginger ale, it’s referred to as a Pimm’s cup. What Else Can Go In A Pimm’s Cup? Fresh fruit, herbs, lemonade, and flavored simple syrups can all be added. What Kind of Glass Is A Pimm’s Cup Served In? A tall glass, also often made as a punch and served in a punch bowl. Wash the fruits, squeeze the juice from the lemon into a shallow bowl. Slice and/or cube the apples and immediately toss the pieces in the lemon juice, set on a paper towel to dry off. 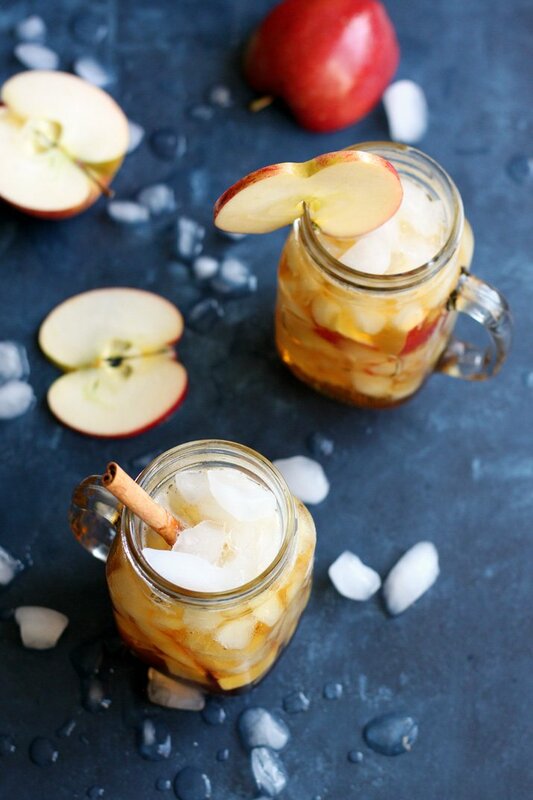 Add apple pieces from 1 apple, Pimm’s No. 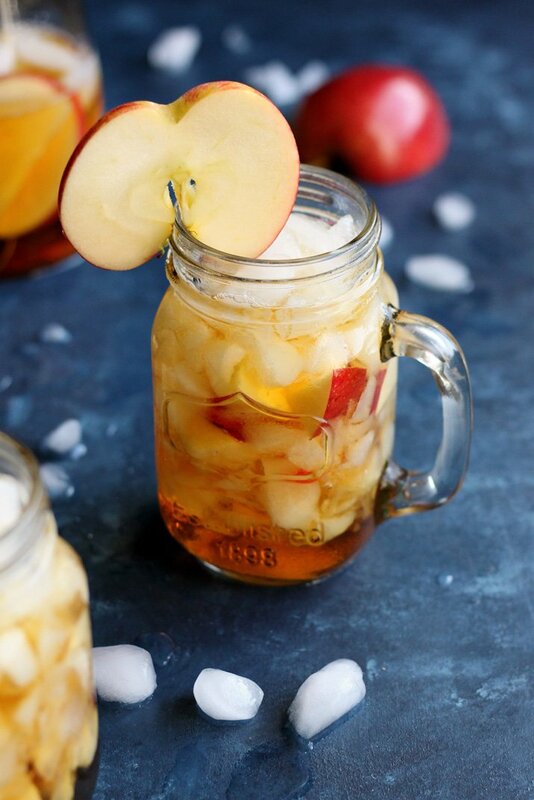 1 and sparkling apple cider to a pitcher, stir to mix. Garnish with some more apple slices or cinnamon stick if desired. Yum! Loving this refreshing twist on a summer cocktail! Pinning for later. Thanks for sharing! A Pimm’s cup is one of my favorite cocktails!! I love the apple/fall spin on this one!! We eat apples year round, so I can see making this year round too! We have an apple tree in our yard and are always looking for ways to use up all the apples we harvest. This will be going on our list! Tasty and refreshing! I want this in my life now. It is so hot here and all I am thinking is servings of ice cold drinks.